Find out they plan to create more revenue opportunities for their restaurant partners. 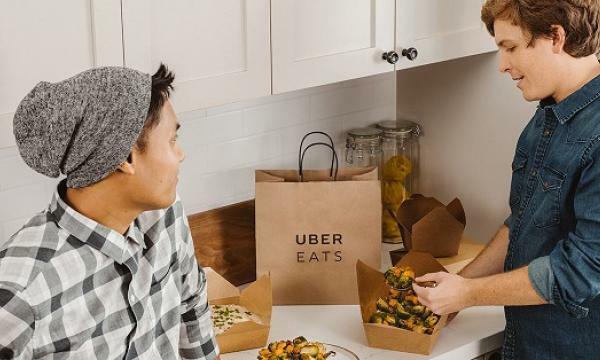 Uber Eats shows no signs of stopping its aggressive expansion plans. Currently live in 50 cities and towns across the UK, they intend to double that number by year end. 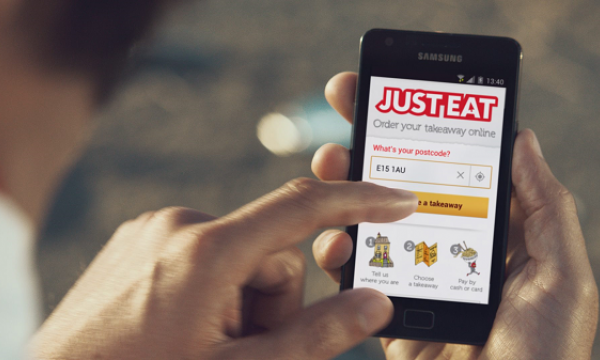 QSR Media caught up with Uber Eats General Manager, Toussaint Wattinne, to find out their plans and how a data-driven approach is helping their restaurant partners to maximize their sales. QSR Media: What kind of improvements have you been making to your tech over the past 12 months? We’ve made a few changes. The first of these has been the refresh and revamp of our restaurant dashboard that restaurants had in-store to accept and manage orders. We’ve made the design of this dashboard quicker and more reliable. The consequence of this is that restaurant preparation times have improved, meaning that they can get their food out to their customers faster. The second big change was introducing and improving our ‘Restaurant Manager’, a web interface where our customers can go and track their sales volumes, and feedback that users have shared on their menu items- literally telling restaurants at a menu item level what ratings people have given them. This granularity of feedback is immensely powerful. QSR Media: what can we expect to see in the coming 12 months? Going forward, we’re working on a few areas. The biggest of these is turning the data we have into insights that can help our customers manage their business more efficiently, and turning insights into additional revenue streams. For example, we could help an Asian restaurant that sells Thai food serve alternative Asian food or slightly different cuisine types that we know are in high demand from consumers. For a minimal incremental cost our partners can launch a virtual restaurant with a separate menu from the same kitchen. By utilizing the data and insights we have, we’re able to help restaurants maximise revenue opportunities while meeting demand from consumers for more selection and food options. It’s a win-win. QSR Media: What other areas are you focusing on? The big area is obviously everything related to tech because we know we have a strong advantage here as a predominantly tech / logistics company. This is not only in the areas of revenue maximization, but also in regards to route mapping where we leverage off the wider Uber group. We have a strong mapping team that works on route streamlining, making sure we are the fastest delivery company, as we know that every minute you can shave off a delivery time makes a difference to customer satisfaction, and the likelihood of repeat custom. QSR Media: Consumers have a lot of choice when it comes to delivery providers. What is your strategy to get them to choose Uber? It starts by building, maintaining then iterating a great product. What we obsess about is continuing to offer end customers not only great choice of restaurants but also new and renewed choices. We keep partnering with new brands; we keep making sure that we make more brands available to consumers because that is the first thing that will keep them coming back. Secondly it is the quality of that experience – just by continuing to focus on the core of what we do and doing it better. We are looking into how we can leverage the unique strengths that we have as a multi-service platform. We have Uber Eats, Uber Rides and we're continuing to launch new products. We put a lot of effort into working out how we can make all of these products tie together – not only rewarding loyalty in one service but we actually rewarding it across services. There's nothing that's been launched or announced to date but this is an area we're investigating a lot because we know that that it plays to our strengths. QSR Media: How do you go about launching yourselves in a new city? We need restaurant partners to work with so we typically start by letting them know that we're coming and that we're looking to partner with them. And then as we get closer to launch date, we begin developing our courier networks- essentially making sure that we find and attract the number of couriers we need to support the business in a given location. Once that’s ready to go, we typically try to make sure there's a date by which we have enough restaurants that partner with us, enough couriers to sustain the business and make a big splash. QSR Media: Can you tell me about Uber Eats interaction with the overall Uber brand? The overall brand itself is obviously of huge benefit to us - when we started, we were able to connect and communicate to the millions of riders that have trusted Uber to move them around, telling them about Uber Eats. Aside from this, our base infrastructure, with its technology, means that we are able to support a large-scale business, and that is due to our relationship with Uber. The businesses themselves are run quite separately though: the couriers, the delivery and food are dedicated to Uber Eats; they're not shared with Uber Rides. QSR Media: There have been a number of court cases on employee rights in the so called 'gig economy'. Where does Uber Eats stand on this? What do these rulings mean for you? We feel extremely confident of our position because of our model. We've learned a lot from the ride business about building a tool and building a model that genuinely fully embraces the fact that the couriers we work with are independent contractors. They are self-employed and they are using the app as flexibly as they possibly can. What it means is you're free to log-in whenever and wherever you want. There are no shifts, there are no hour requirements. Broader industry trends are clearly something we focus on. It's clear that there is a governmental focus on what's going on today with self-employment and the so-called “gig economy” and as Uber – both Rides and Eats – we shared our view on the future of work with the government as part of their consultation on self-employment. We're very proactive in contributing to shaping the future.